DC Cancels Deadshot and Lobo Movies? The future of the DC movie universe is starting to take shape, slowly but surely. Part of the process of shaping that future is killing off some of the many, many projects that were in various stages of development behind-the-scenes at Warner Bros., as the studio looks to restructure things with the DCEU moving forward, following the disappointment of Justice League. As such, the Deadshot solo movie and the Lobo movie have both reportedly been canceled. 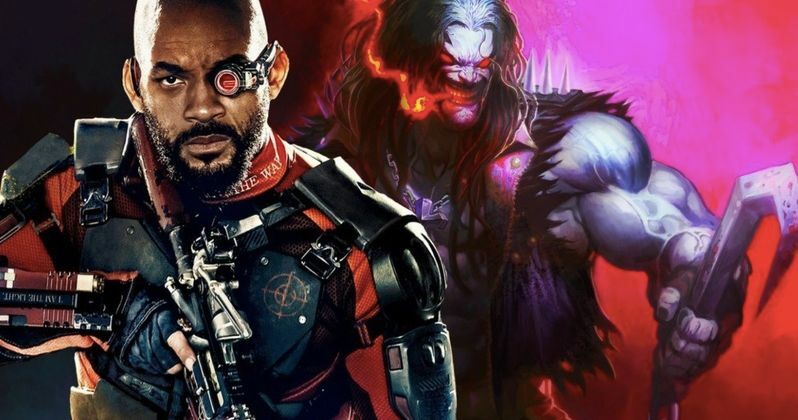 First up, the Deadshot movie is said to no longer have Will Smith attached, with his next DC movie expected to be Suicide Squad 2, which is rumored to be shooting later this year. We first reported on the possibility of a Deadshot spin-off movie in December 2016, shortly after the news of Gotham City Sirens entering development was revealed. Now, thanks to a report from Discussing Film, it sounds like that is no longer a possibility and the project has been scrapped altogether. Here's what they had to say about it. "Exclusive: Will Smith is not attached to star in a Deadshot solo film with his next appearance as Deadshot most likely to be in Suicide Squad 2 which is said to film next year." There's no word on exactly how far along the Deadshot movie was, but it likely was just an idea that was being kicked around that never truly entered the development stage. As for Lobo? That was actually being scripted by Wonder Woman writer Jason Fuchs at one point. So Warner Bros. was taking the idea somewhat seriously. However, according to The Splash Report writer Mario F. Robles, Lobo has also been canceled. "It joins #Lobo now, on the 'Island Of DC Films That Were Kinda Sorta Maybe Happening But Now Aren't.'" Indeed, Warner Bros. was very bullish, if directionless, about the future of their DC movies on screen. Aside from Lobo and Deadshot, other movies at various stages of development include Nightwing, Batgirl, Gotham City Sirens, a Joker and Harley Quinn spin-off, an R-rated Joker origin movie outside of the DCEU continuity and a Deathstroke movie, just to name a few. Some of these movies, like Nightwing and Batgirl, still seem as though they have a decent shot at happening, but the studio did seem to be somewhat aimlessly developing DC projects. Quite the opposite of Marvel's meticulous way of planning. Justice League wound up being a massive disappointment, making less than $700 million worldwide and causing a major shake-up behind the scenes at Warner Bros., in regards to how they're handling DC Films moving forward. Which is likely why, as Discussing Film, reports, Deadshot is no longer happening, and Lobo along with it. Recently, the studio hired IT producer Walter Hamada to head up the division. Expect more of these rumored projects to join Deadshot and Lobo in the graveyard of would-be DC movies under his leadership. DC's Lobo Movie Confirmed; Is Not Based on New 52 Comics? 2 New DC Movies Announced, What Are They?